1 month 1 day ago. Jane Antonia Cornish is at Dimenna Performing Arts Center. Album recording at the beautiful @thedimennacenter #seascapes #newmusic #outsoon @ Dimenna Performing Arts Center 2 weeks 6 days ago. #Repost @cmf_nyc with @get_repost ・・・ We are pleased to present The Clara Schumann Ten. For the first ten days of March we will introduce each, alphabetically. 1. Jane Antonia Cornish is an award-winning composer based in NYC who was Chelsea Music Festival’s very first Composer-in-Residence back in 2010. Jane’s work has been critically acclaimed and includes several award-winning solo albums. We are thrilled to bring her back as a part of this year’s 10th season! @janeantoniacornish #TheClaraSchumannTen #Claradue200 #cmf_nyc #HearTasteSee #WomensHistoryMonth #FemaleComposer #chelseamusicfestival 1 month 3 weeks ago. I’m so looking forward to this! Thank you @cmf_nyc for inviting me to be a part of this wonderful festival again! I was Composer In Residence the first year in 2010, and have enjoyed the festival each year since then. #Repost @cmf_nyc with @get_repost ・・・ For #WomensHistoryMonth, we are honored to celebrate the legacy of Clara Schumann! This June, we are thrilled to feature our 2019 Commissioning Project #TheClaraSchumannTen — a distinguished group of women composers from across the globe commissioned by the Chelsea Music Festival. Pictured top left to bottom right: Jane Antonia Cornish (@janeantoniacornish), Helen Grime (#HelenGrime), Binna Kim (@binnita), @iamjessmays, Santa Ratniece (#SantaRatniece), Kathryn Salfelde (#Kathryn Salfelder), Aigerim Seilova (@avolies), Nicky Sohn (@berliozsgirlfriend), Augusta Read Thomas (@augustareadthomas), & Liliya Ugay (@liliyaugay). 1 month 3 weeks ago. New album 2019 #seascapes 📸 @benbugdenphoto 2 months 17 min ago. Jane Antonia Cornish shared a photo. A new playlist by Naxos of America unCLASSIFIED including Continuum I and music by Arvo Part Oliver Davis and more. 3 months 2 weeks ago. 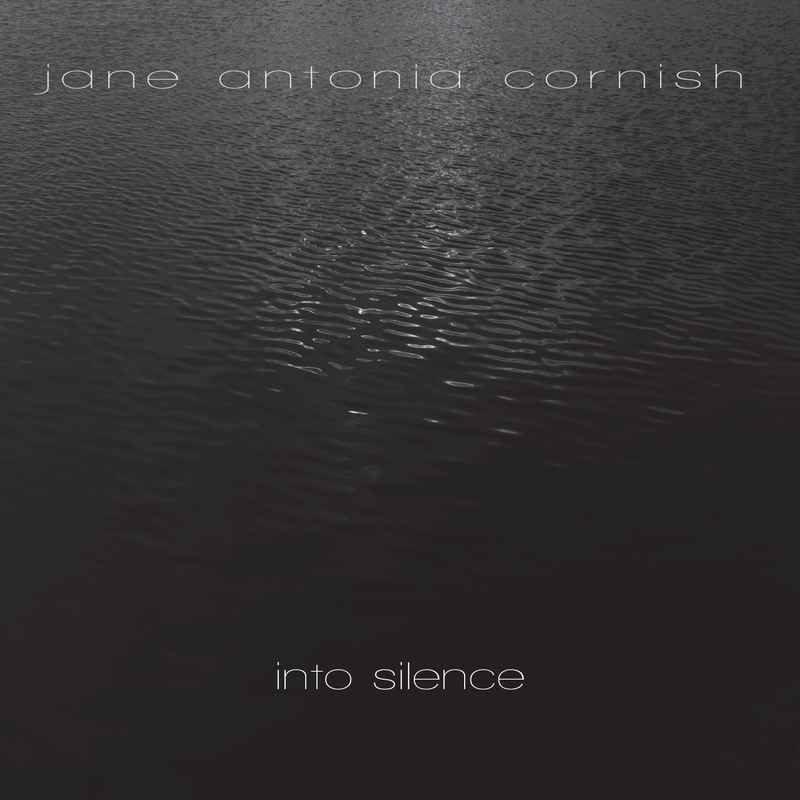 Time, silence, light, reflection, and transcendence are all explored in Jane Antonia Cornish’s new album, Into Silence. A breathless fragility on the precipice of liminal space imbues the album’s six over-arching linear meditations; each work an inquiry into the transitory beauty of the unknown, through self-reflection and the conscious reorientation of perspective. These hallmarks of Cornish’s aesthetic experience, along with the exquisitely balanced unfolding of her material, all contribute to a highly expressive and brave musical narrative that is unafraid, and, once heard, cannot be unheard. The six works featured here are not only unified conceptually, but also through their instrumentation; each features a subset of an aggregate ensemble of violin, piano, four ‘cellos, and electronics. Throughout, Cornish brilliantly uses a carefully planned unveiling of instrumental sonorities to actuate and propel the over-arching design of the album’s broader narrative. Memory of Time (solo violin and four cellos) explores a distant nocturnal pathos as the solo violin’s expressive presence floats, suspended, over the ‘cello ensemble’s irrevocable sighs. The titular Into Silence I incorporates piano and electronics into the sonic tableaux of the proceeding work, reorienting the seemingly unappeased yearning of the introductory material with a tender earthbound comfort. Scattered Light, scored for ‘cello alone, expounds an unbridled moment of cadenza-like virtuosity. As the harmonic rhythm increases and intensifies the work concludes in an evaporated calmness. Elegia returns to the sound-world and material of the album’s opening work (Memory of Time), now examined through the aperture of elegiac reflexivity. A meditation on solitude, Into Silence II, for piano solo, probes some of the album’s most inner-directed moments of isolation. Luminescence (scored for solo ‘cello, three ‘cellos, and electronics) is a culmination of the entire album’s exploration of liminality. The electronic component returns with an exquisite and arresting subtly of hushed empyrean filigree. A solo cello momentarily transforms the sighing motif of the opening into a hopeful upward reach towards transcendence. The work ends in deliquesce silence, and the album concludes with a return of the opening motif, exemplifying the elegant notion that silence is the path to transformation. Jane Antonia Cornish is a British Academy Award winning composer who grew up in England and lives in New York City. In the world of film scoring, Cornish composed the music for many films, including the drama “Fireflies in the Garden”, starring Julia Roberts, Ryan Reynolds and Willem Dafoe.